KD C.A.R.E Foundation (walking…no talking) | Celebrity Plus-Again! The KD C.A.R.E Foundation established in May 2014, is an organization created to aid the poverty-stricken residents of Jamaica. Co-Founders Karen Davis & Davian Lambert, have always been passionate about the plight of the needy and impoverished everywhere. However, instead of talking about the suffering and the lack facing many, they decided to pool their resources and ideas to make a change. Ms Davis’ humanitarian efforts began years ago as she tirelessly assisted the homeless in New York, before moving on to Florida where she cooked and fed the hungry living under bridges in Miami. Her compassion for the less fortunate led her back to Jamaica from 2004 to 2007 as a missionary, who aided the Westhaven and Blossom Garden Children’s Home in the parish of St James.. Being empathetic to the struggle, Mr Lambert has also been doing his part to assist the needy residents in the parish of St Andrew. Wherever there’s a need, Mr Lambert offers assistance. Whether it’s monetary, clothing, shelter,or food, he willingly does whatever he can, whenever he can. In May 2014, both Ms Davis and Mr Lambert agreed it was time to take their charitable ambitions to the next level. The KD C.A.R.E Foundation was formed, and plans are being implemented to build and repair homes, provide food, as well as school supplies for those in need across the island. 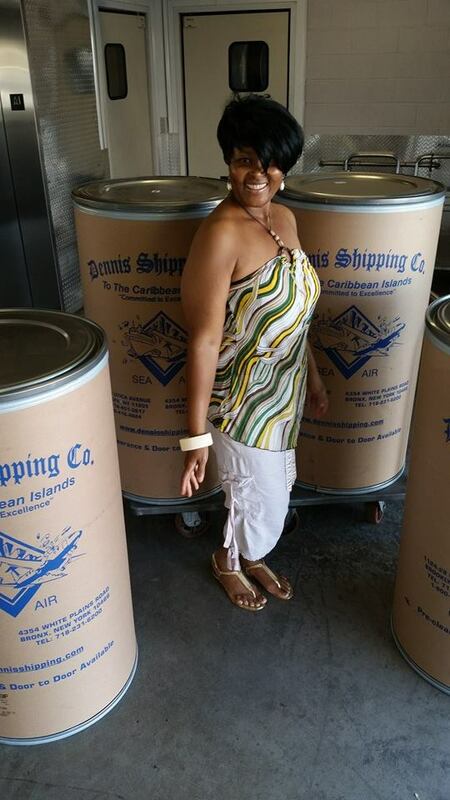 Currently in New York the supplies are pouring in, and barrels are being packed and made ready for shipment. Persons wishing to donate must understand that no donation is too small. From a penny to a pencil, everything is needed, and any assistance offered will be appreciated. Image | This entry was posted in Feature, Inspiration, News and tagged charity, donate, donations, help, jamaica, poor, poverty. Bookmark the permalink.